Elie Saab is a world-famous Lebanese fashion designer who is loved all over for his bridal couture, impeccable silhouette and fit. He has workshops in Lebanon, Milan, and Paris and has dressed beautiful celebrities like Angelina Jolie, Lupita Nyong’o, Fan Bingbing, Selena Gomez, Jane Fonda, to name a few. 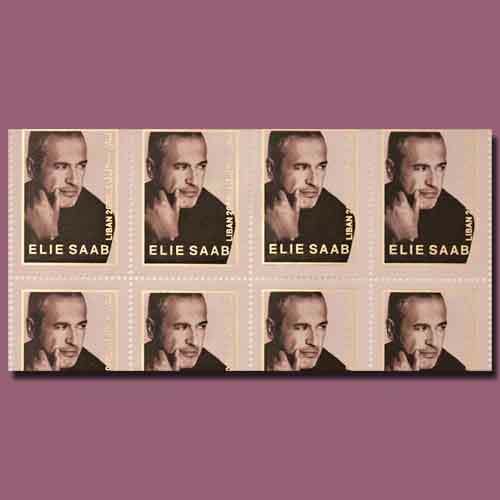 He was recently honoured by Lebanon Post with special stamps depicting the great designer. The designer himself revealed about the stamps through his twitter account. Elie Saab was born in 1964 in Damour and used to initially design wedding gowns. He was the first Lebanese designer to dress an Oscar winner. He had designed a stunning dress for Halle Berry back then in 2002. Since then, his works have been loved globally. Today, He has made his mark as one of the best designers in the world.